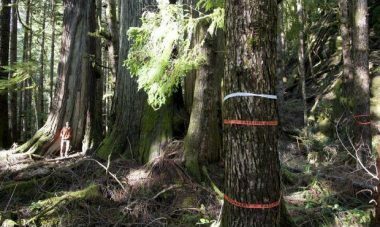 New logging tape marks an area about 50 metres away from the largest Douglas fir in the world in the Red Creek area east of Port Renfrew. 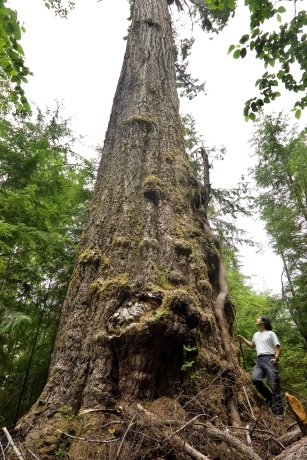 Logging is already prohibited in part of a stand of massive old-growth trees near Port Renfrew that the community and environmentalists want protected, but it’s not nearly enough, say members of the Ancient Forest Alliance. A section of the stand, nicknamed Avatar Grove, is in an old-growth management area, meaning no cutting is allowed, Forests Ministry spokeswoman Vivian Thomas said yesterday. Filmmaker James Cameron has spoken before about how his Avatar is a cautionary environmental tale. In a MTV interview this week, he says Fox wanted to remove its "treehugging crap," but environmentalists now want to create a curriculum based on it. 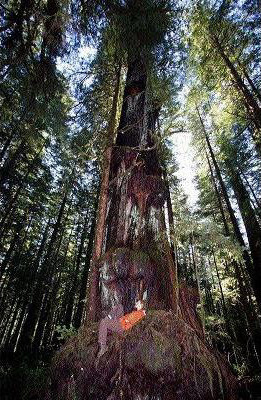 British Columbia: Clearcutting the "Avatar Forest"
An exceptionally spectacular and accessible stand of newly discovered old growth redcedars and Douglas firs near Port Renfrew has recently been marked for logging. The unprotected forest on Crown lands about 10 kilometers north of Port Renfrew, nicknamed the “Avatar Grove” after the hit movie for its awe-inspiring beauty and alien-shaped, enormous trees covered in burls, was discovered in early December last year by Vancouver Island photographer and “big tree hunter” TJ Watt and a friend. Some of the giants stretch straight to the sky for 80 metres, while others are bulbous and misshapen, the knots and gnarls betraying their age. The old-growth Douglas firs and red cedars have stood in the valley beside the Gordon River for centuries, but now, in the almost undisturbed grove, the end is spelled out in spray paint and logging tape. An exceptionally spectacular and accessible stand of newly located old growth redcedars and Douglas firs near Port Renfrew has recently been marked for logging. An exceptionally spectacular and accessible stand of newly located old growth redcedars and Douglas-firs near Port Renfrew has recently been marked for logging. 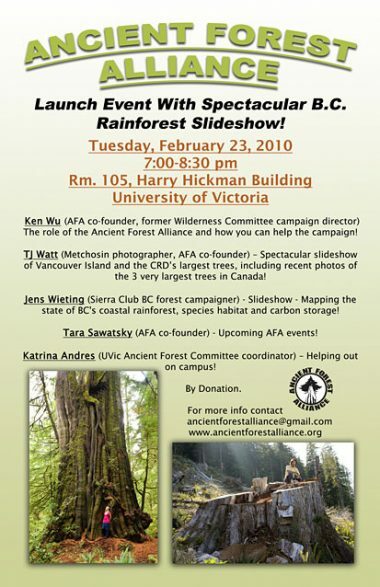 Ancient Forest Alliance – Launch Event! Enough is Enough! Saving our Last Ancient Forests and Ending Raw Log Exports – Find out about the new organization and its campaign! 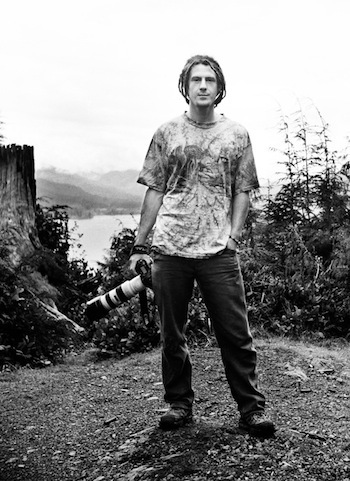 TJ Watt is a professional photographer living in the city of Victoria on Vancouver Island, BC. Born and raised in the rural town of Metchosin, he carries with him a strong passion for the outdoors, the environment, and life itself. A Canadian environmental organization has established a 3 Step Program designed to cure thousands of movie-goers who complain about sinking into a depression in their drab, Earthly lives after watching scenes of spectacular alien rainforests and wildlife in James Cameron’s hugely popular film, “Avatar”. Tis the season, it would seem, for turmoil in the environmental movement. 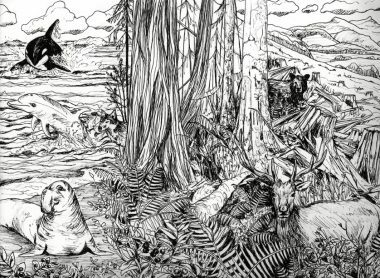 With run-of-the-river power projects testing the solidarity of green-minded British Columbians, and last summer’s high-profile battle for the leadership of The Land Conservancy, we now have the Western Canada Wilderness Committee announcing the closure of its Victoria storefront and shifting the focus of its Island campaigner to marine issues from old-growth forest protection.